Still Have Questions About a Legal Issue? How do I know if the insurance company’s settlement offer is fair? For minor, short –term injuries you might decide the insurance company’s settlement offer is fair for your auto accident injuries and you are comfortable accepting it. However, to ensure you are being fairly compensated let personal injury lawyer Bob Edens provide you with a free consultation. A no obligation case analysis will let you truly know if the offer is fair. What can I do if the other driver didn’t have insurance? If you are in an accident with an uninsured motorist your insurance company might step in and cover your costs. However, they will not be pursuing your best interests and that is why you should consult an Illinois lawyer before agreeing to any insurance settlement. Additionally, they will use all defenses against you so essentially you will be in an adverse relationship with your insurance company. For this reason you might benefit from having an attorney representing you. Call for a free consultation to see what you legal options are. You are not obligated to speak to the other person’s insurance adjuster. Their primary objective is to minimize the costs paid in your claim. In speaking with your own adjuster you just need to give them the basics of the auto accident: Where it happened, when it happened and who was involved. Do not agree to a tape recorded statement and do not sign anything before speaking to an expert lawyer in the field of automobile insurance claims like The Law Offices of Robert T. Edens with offices located in Barrington, IL and Antioch, IL. What if I admitted to some fault in the accident already? It depends what, who and when you admitted it? If you gave the police or the adjuster a statement then you can refer to the information they already have but do not have to elaborate on it. If there are serious injuries or property damages you may want to speak to an attorney in your area. 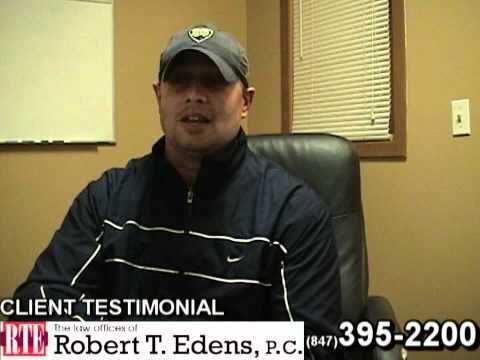 Robert Edens represents clients in the following areas: Fox Lake, Gurnee, Grayslake, Lake Villa, Ingleside, Lindenhurst, Round Lake, Round Lake Beach, Round Lake Heights, Round Lake Park, Waukegan, Zion, Highland Park, Libertyville, Mundelein, Algonquin, Crystal Lake, Lake in the Hills, McHenry, Woodstock, and North Chicago. Until you have been in an accident you do not realize how antagonistic the insurance claim process can be. After an accident occurs, the at-fault insurance company begins preparing its defense case. Don’t help them diminish or debase your claim. Knowing these simple things can protect your auto accident claim. Call the police, especially if there is a question about fault or in a serious accident. Get prompt medical attention if you are injured in anyway. Get pictures of the damage to both vehicles. Do not give a recorded statement to the other driver’s insurance company. Notify your own insurance company. What if I was using my cell phone (or texting) when the accident occurred? Illinois law states that “a person my not operate a motor vehicle on a roadway while using an electronic communication device to compose, send or read an electronic message.” Furthermore, you may not use a cell phone to communicate while operating a motorized vehicle. Therefore if it is known you were violating this law you will be issued a ticket. However, this does not mean that you caused the accident and should not admit to such. It does mean that the other insurance company is going to use this to their advantage and having an attorney to protect your rights will ease your burden. 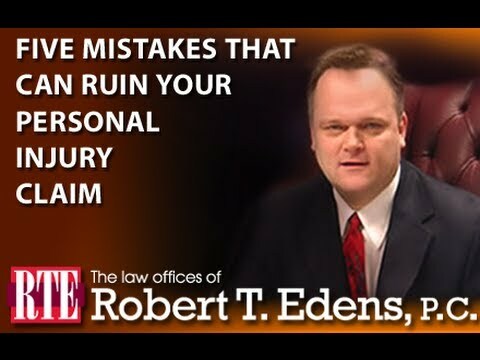 Antioch attorney Bob Edens will ensure that you do not get stuck taking the blame for the entire accident. This is an acronym for Motor Vehicle Accident. How will a prior injury affect my case? Suffering an injury to an already compromised area of the body may result in permanent damage and can negatively affect you for the rest of your life. Don’t leave your future in the hands of an insurance company who wants you to settle as soon as possible. Protect you and your family’s future by getting your free consultation in your personal injury or car accident case. What if my case was a hit and run? Much like an uninsured motorist, if you are involved in a hit and run automobile accident your insurance company will usually step in and cover your automobile claim but, again, they will not have your best interests at heart and they will often try to settle quickly, again appearing to be on your side. The best way to determine if you have a case is to speak with an experienced attorney. A medical malpractice case is much different and more complex than with other personal injury claims. The facts surrounding your claim are based on past medical records and testimony from medical experts who are familiar with your type of case. Every case is unique and there is no way to predict what the monetary damages will be. There are numerous factors that need to be considered. An experienced attorney will have other cases that may have similar factors in which they can provide a “guess-timate” You may look at the case result to get an idea of what your case might be worth. To discuss your case with Attorney Edens please click here or call 847-395-2200 to schedule a FREE, no obligation consultation. There are no fees unless you collect. How long will my negligence case take? The length of time it takes to settle a medical neglect or malpractice case will depend on my factors. A cut and dry case will settle much faster than a complex case, in many cases, under a year. Contrary a complex case can take several years or more to resolve. The length of time is something that cannot be predicted or rushed. There are many records to collect, many doctors to contact, many depositions to take and many experts to consult. It takes time to build a good case and Mr. Edens will carefully examine ever aspect and detail of your unique circumstances. To discuss your case with Attorney Edens please click here or call 847-395-2200 to schedule a FREE, no obligation consultation. There are no fees unless you collect. You should always consult more than one attorney. That is why Bob will listen to the details of your case and then provide you with a FREE consultation. Additionally, there is never a charge unless Bob wins your case. Please click here or call 847-395-2200 to schedule a FREE, no obligation consultation. There are strict statute of limitations so please call our office today. What if I have no proof? All medical records will be thoroughly reviewed by Attorney Edens and he will consult with various experts to determine if the proper “standard of care” was provided. It is through the medical experts testimony that your case will be proved or disproved. To discuss you or your loved one’s medical mistreatment please contact Attorney Edens by clicking here or call 847-395-2200 to schedule a FREE, no obligation consultation. There are no fees unless you collect. The best thing to do is to get a copy of all of your medical records as treatment is being provided. It is much more difficult to get masses of records after-the-fact. Additionally, if a patient passes away it can be much more difficult to get medical records; a medical power of attorney expires upon death. Additionally, HIPAA laws may also expire upon death, denying you medical records of the deceased. If the circumstances require immediate medical attention, contact appropriate care through a private physician or a hospital emergency room. If you believe there has been neglect or abuse that represents criminal abuse of the elderly, you should call the police department; initially you may do this anonymously if you are afraid of retaliation of your loved one. Additionally contact other agencies in your state that investigate complaints of this nature. In Illinois, call the Elder Abuse Hotline 24 hours a day at 866-206-1327 or Illinois Department of Children and Family Services at 1-800-232-3798. 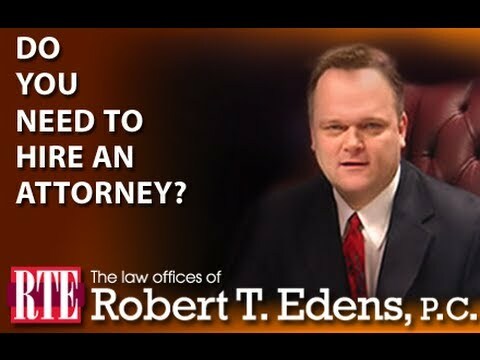 You should also consider contacting The Law Offices of Robert T. Edens. If your loved one has been abused or neglected, we will pursue a monetary damages. How can I prove nursing home neglect or abuse? Nursing home neglect and abuse may have tell-tale signs such as bed sores that do not heal or continue to get worse, unexplained bruises or too frequent bruising, weight loss, mood changes in patients such as agitation, depression, combativeness or any other things out of the ordinary. Unfortunately, all too often the signs can be explained away even if it is not the truth. If possible, try to get the patient or your loved one to open up to you. However, if the fear of retaliation is too great this may be difficult. In any case you should report your suspicions to the proper agency to pursue an investigation or inquire if the facility is currently or has ever been under investigation. The Elder Abuse Hotline is available 24 hours a day at 866-206-1327 or Illinois Department of Children and Family Services at 1-800-232-3798. You should also consider contacting The Law Offices of Robert T. Edens. If your loved one has been abused or neglected, we will pursue a monetary damages. What qualifies as negligence in a nursing home setting? Neglect is defined as the failure to provide services essential to a person’s health and safety, such as food, shelter, clothing, supervision and medical care. Such failures can be intentional or simply careless, but will determine whether a case against a nursing home is for neglect or abuse. How much is my nursing home abuse case worth? What will happen if a nursing home resident complains of neglect or abuse? How are acts of abuse, neglect or exploitation by a nursing home addressed in legal proceedings? Will I lose my job if I file a claim? It is illegal for an employer to harass, dismiss, refuse to rehire or discriminate against any employee regarding this issue. If you are being denied reimbursement for medical bills, lost wages or are being discriminated against please contact Robert Edens for a free consultation at 847-395-2200. Can an employer deny my claim? Generally no. Your rights are protected by the Illinois Labor Laws. However, you must report your injuries within the strict timeline set forth in the law, or if your injury occurred during a voluntary employer function such as a company picnic or party and not on the job then you cannot file a claim for your injuries. When should I report my injury to my employer? You should report your injury to your employer as soon after the injury as possible however the law states that an employee generally, must notify the employer within 45 days of the accident. Any delay in the notice to the employer can delay the payment of benefits. A delay of more than 45 days may result in the loss of all benefits so it is always best to air on the side of safety and file a claim prior to the deadline if there is any question about benefit eligibility. For injuries resulting from radiological exposure, the employee must notify the employer 90 days after the employee knows or suspects that he or she has received an excessive dose of radiation. For occupational diseases, the employee must notify the employer as soon as practicable after he or she becomes aware of the condition. What if my doctor says I cannot go back to work but my employer says I have to? You should always follow your doctor’s orders despite your employer’s desire for you to return to work. However, it is the employee’s responsibility to follow company’s guidelines regarding supplying doctor’s notes and communicating about your ability to return to work, etc. An employee and their doctor are protected from having to disclose personal information through HIPPA laws. I am only a part-time employee, does this effect my eligibility? No. In Illinois every employee is covered from the moment they are hired. This does not include contract workers who work for an agency or are self employed. What type of injuries are covered under the Illinois Workers Compensation Law? The law covers injuries that are caused, in whole or in part, by the employee’s duties or workplace safety hazards. A worker injured by the repetitive motion of a body part is covered, as is a person who experiences a stroke, heart attack, or other physical problem caused by work. If an employee has a pre-existing condition they may be entitled to receive benefits if he or she can demonstrate that the work aggravated that condition. What if I do not have an injury but rather a disease caused by my working conditions? This area of the law has changed dramatically in the last 25 years. At one time there was no recognition that repeated exposure to certain chemicals or substances could be linked to specific diseases. However, because there was a high concentration of workers in certain industries contracting the same disease the medical and scientific communities took a closer look. It was discovered that certain chemicals and/or substances were not present in the environment outside of the workplace and the workers therefore could not have contracted their particular diseases if not for their workplace conditions. My spouse died from a disease caused by his workplace conditions, am I entitled to workers compensation? The law does provide benefits for surviving family members including spouses, children and any other family members that were financially dependent on the deceased at the time of his or her death. These laws are often misunderstood, even by the company itself sometimes. It is advisable for you to consult with an attorney experienced in workers compensation death benefit claims. Attorney Robert Edens will provide you with a free case evaluation and work with you to present an all inclusive demand letter from your spouses employer. My employer is denying me any benefits, what can I do ? A breakdown in communication often causes delays in an employee receiving benefits. If an employee is experiencing frustration and delays in receiving benefits and are having increased difficulty communicating with their employer, it is best to hire an attorney to get your benefits flowing and protecting your financial interests. In fact, you will often receive more benefits with an attorney then without, even after they deduct their fees. See Below. What will my workers compensation benefits be? You are entitled to certain benefits based on the seriousness of your injuries but this is where disagreements can arise. Generally, temporary total disability (TTD) and medical reimbursement while the injuries heal do not present a problem. The problems arise when the employer questions the employee’s ability to return to work and at what capacity level. There are too many variables to give an adequate answer here. 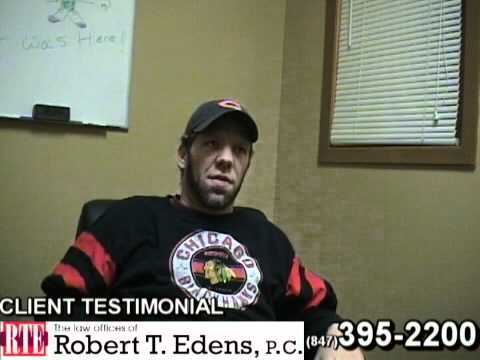 For a FREE, complete evaluation of your workers compensation case please call The Law Offices of Robert T. Edens to discuss your personal situation at 847-395-2200. My employer says I have to go to their doctors and their hospitals, is this true? Not necessarily. This only arises after the employee has been to two separate treating doctors or hospitals and the subsequent referrals they provided that are outside the employers network. If you want to see a third doctor that is not in your employer’s choice network then they can refuse reimbursement for these bills. As long as the worker stays within the limits on choice of provider and the treatment is necessary and related to the injuries encountered on the job, the employer has to pay for these bills. We will settle your case quickly, but will not compromise your right to be fairly compensated for your injuries. The actual value of your case cannot and should not be determined until your doctors have had sufficient time to evaluate your injuries. Only then should a settlement even be considered. Other considerations will be the nature and extent of your injuries, if they are permanent and what impact they will have over your everyday life. Your medical bills, pain, and length of time needed for recovery are also considerations. In Illinois you have two years from the date of the incident to pursue a personal injury or accident claim. Get medical attention immediately even if your injuries seem minor. After the adrenalin wears off, your body will begin to feel pain. Not seeking medical attention can devalue your claim. There were no witnesses to my accident. Your case depends on your injuries and not whether someone was a witness to those injuries. What should I do if their insurance company wants me to make a statement? You are not required to give a recorded statement, sign any medical authorization or wage loss authorization with the insurance carrier. You may want to speak with an attorney before you decide if you want to provide any or all of these.